As you probably know, it is very easy to damage cultured marble. All it takes is placing something too hot (like a curling iron left on the counter too long, or a little cigarette burn) or even just setting something sharp (like a barrette) on the counter, and then when you pick it up you inadvertantly scratch the marble countertop by accident. Another way that you can quickly damage a cultured marble countertop is by not cleaning it properly. The following instructions are for cultured marble countertops and bathroom vanities. If you’re not sure whether you have solid marble or cultured marble, treating your countertop as if it is solid marble might be the safest option. 1. Take a clean spray bottle and fill it with an all purpose water-based cleaner, or a pH-neutral cleaner that is designed for stone. 2. Spray the cleaner on the counter and use a soft damp cloth (think: microfiber or chamois, not any type of scrubber) to wipe down the entire marble countertop. And even though you can repair and refinish a marble countertop, it will never look the same as it did before. 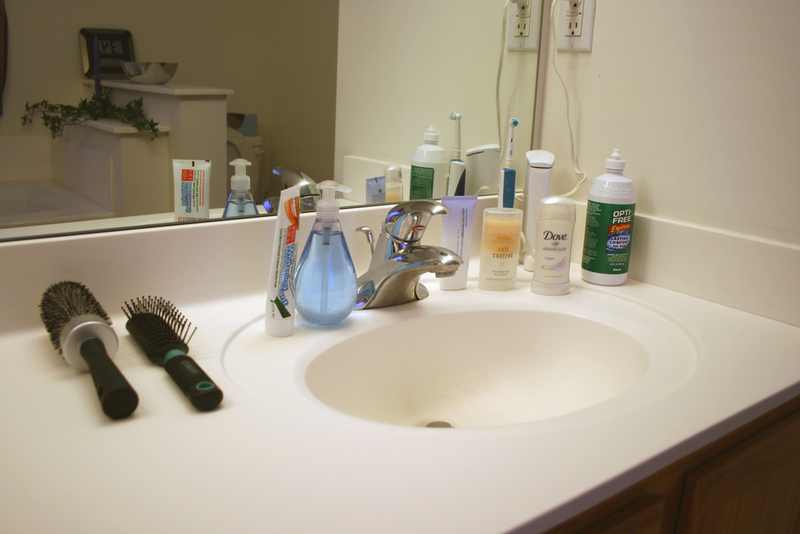 You should never use anything with harsh chemicals in it on a cultured marble countertop. Avoid using bleach or anything with bleach products in them, for example. Cleaning with a high-pH product will strip the factory finish on a marble countertop in a heartbeat (pH 7 is neutral). What About A Dull Finish & Stains? You want to avoid spilling anything that has any kind of color on your cultured marble countertops. And be sure and wipe off anything that might stain the surface of your marble countertop right away. Hard water can stain cultured marble countertops too. Many people don’t realize this. You should never leave water on your countertop in any form: water drops, water rings from the bottom of a glass, etc. 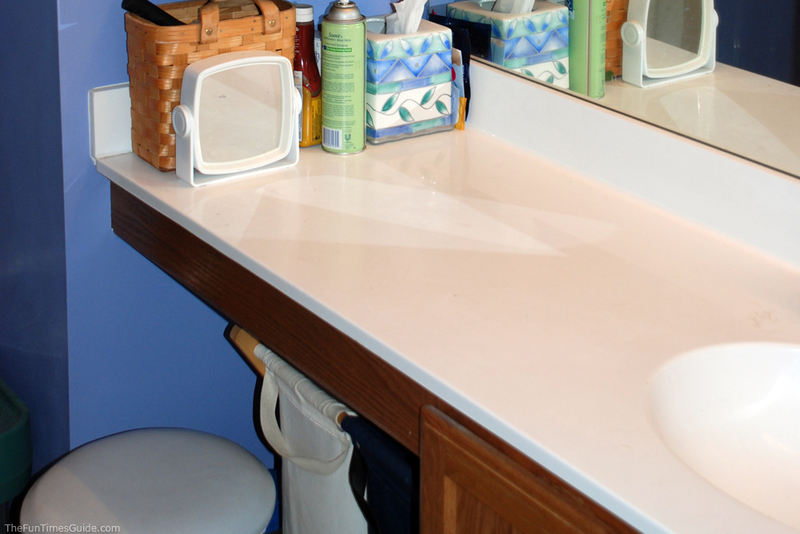 Instead, you should wipe up water on your marble countertop using a soft cloth. 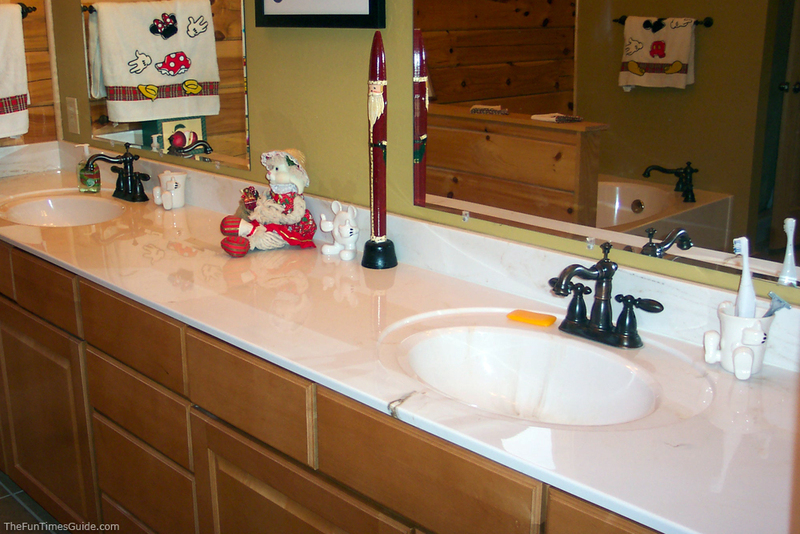 In the photos above, the cultured marble countertop on the left is still new and shiny. The cultured marble countertop on the right is a couple years old and looks dull and etched. By remembering to avoid powdered cleansers and other abrasives, along with being careful about not dropping anything heavy on your cultured marble countertop will a long ways towards keeping your marble countertop clean and looking its best.